Chief Pilot Tom Lynch, Captain Brian Bruns and Captain Paul Cockrell perished one short month from the day that Chief Pilot Tom Lynch replied to my e-mail inquiry about the T –00. 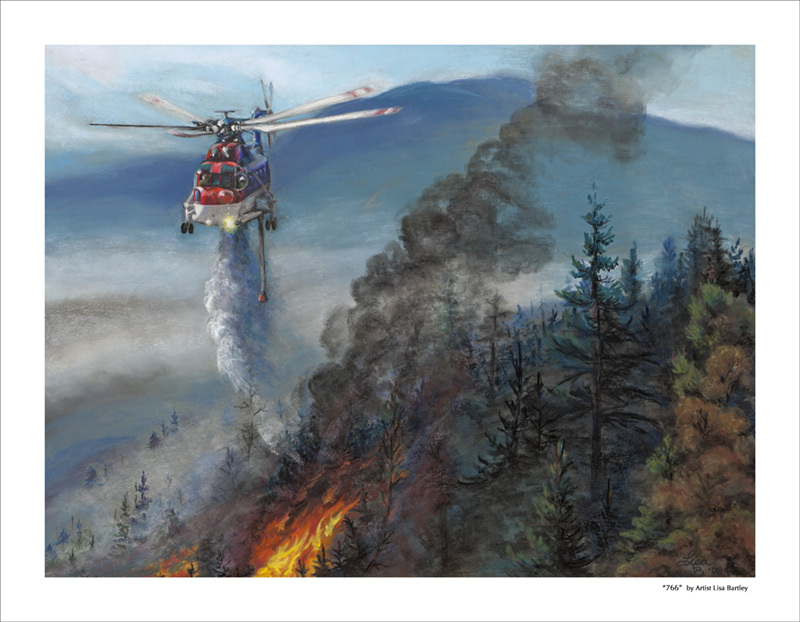 They were on a training mission preparing for the upcoming fire season when the accident occurred. In honor of these brave men, I painted a pastel of the aircraft, the T- 26. A personal presentation was made to Aero Union Corporation as well as the families of the fallen pilots with prints of the T-00 and the T- 26 last October in Chico, California. 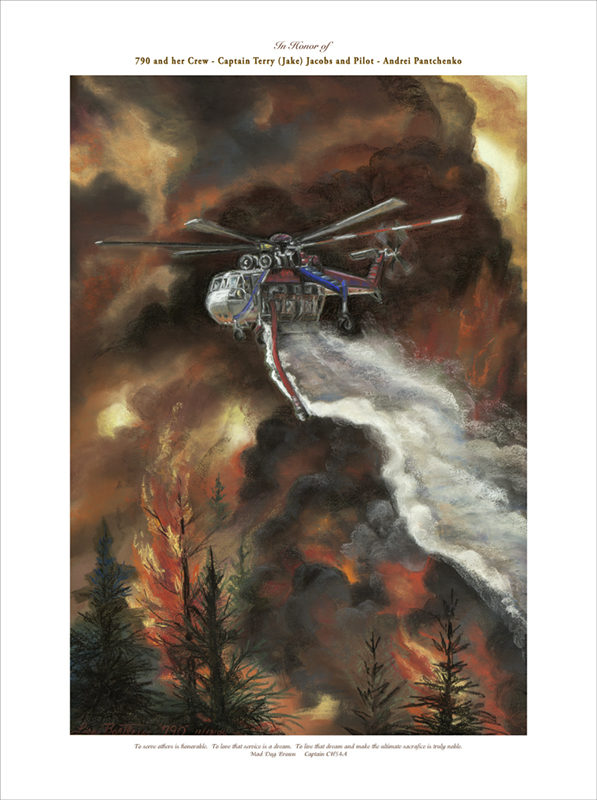 ” And just so you know, it is us airtanker guys that are ever grateful and inspired by the work all ground firefighters do, we are in business to support YOU! "Lead Me, Follow Me or get the Hell Out of My Way!" To Serve Others is Honorable, To Love That Service Is A Dream, To Live That Dream And Make The Ultimate Sacrifice Is Truly Noble.